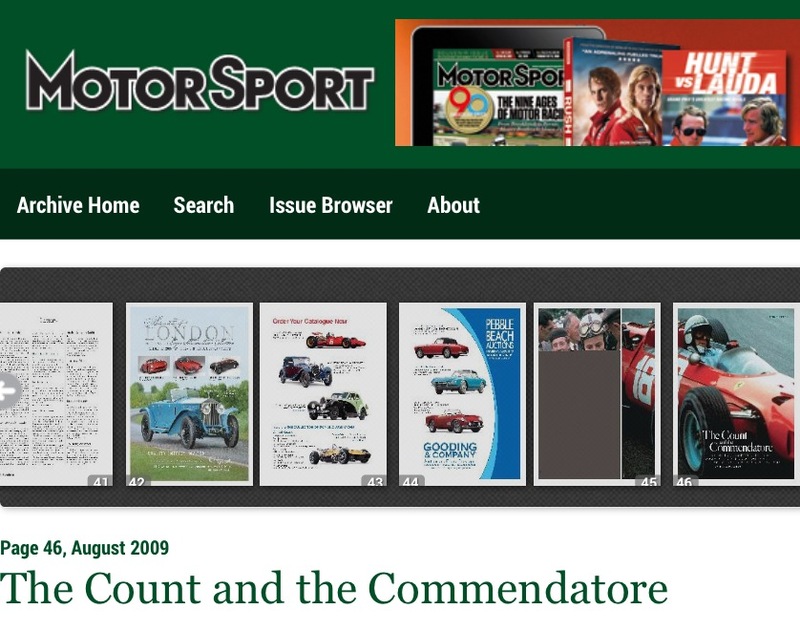 On the day that Lewis Hamilton won the 2014 Championship i was flicking through some old magazines and reflected on the remarkably diverse career and achievements of Surtees. 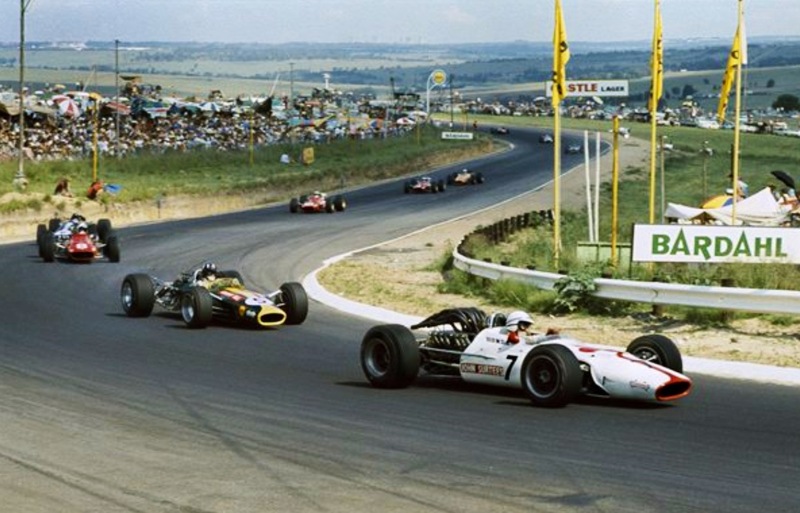 In similar fashion to 2014 the 1964 title was also decided at the last race, in Mexico that year. 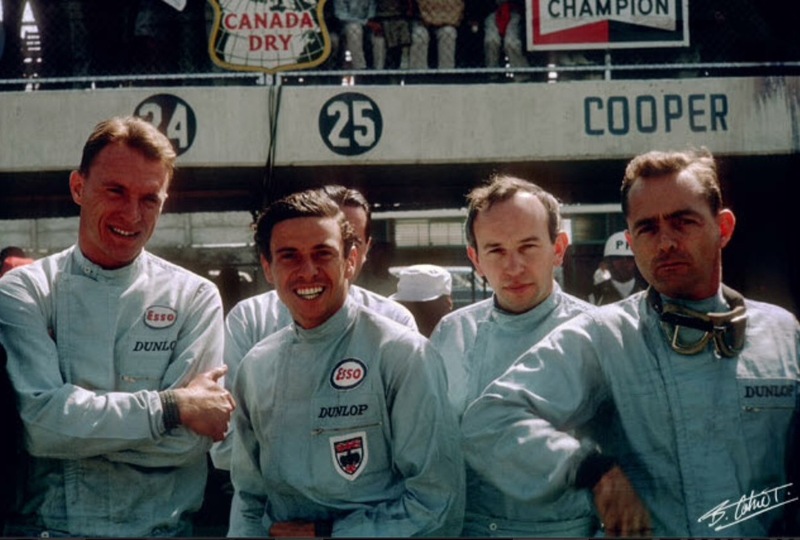 Graham Hill, Jim Clark and Surtees were all winners depending upon who finished where. 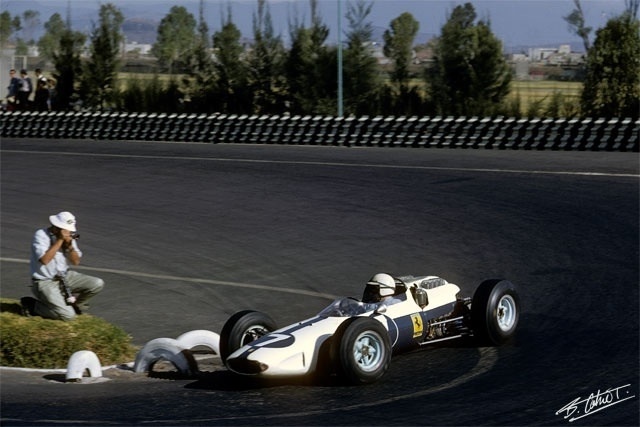 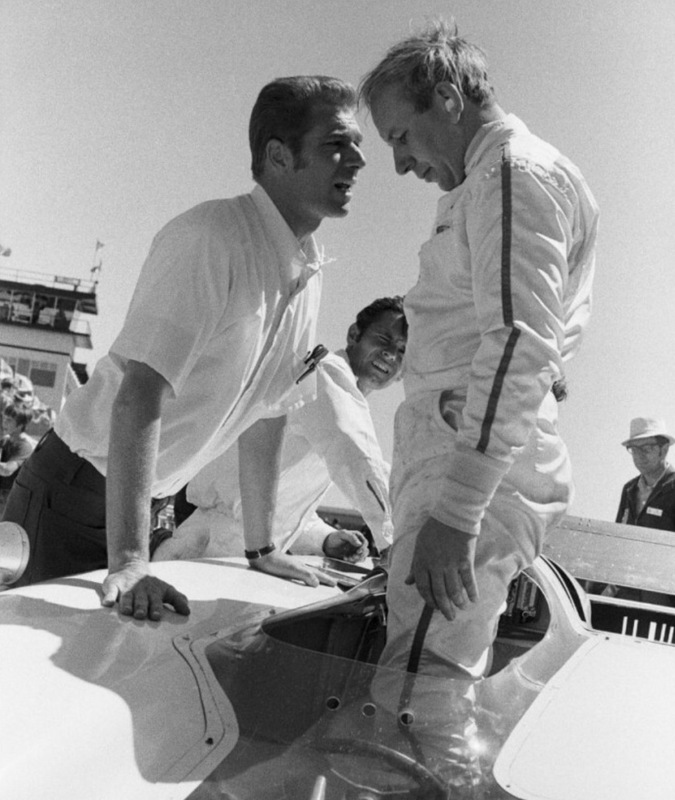 In a race of changing fortunes Clark lead from the start, and was on track for the race win and his second title when his Climax engine started to lose oil and seized seven laps from the end. 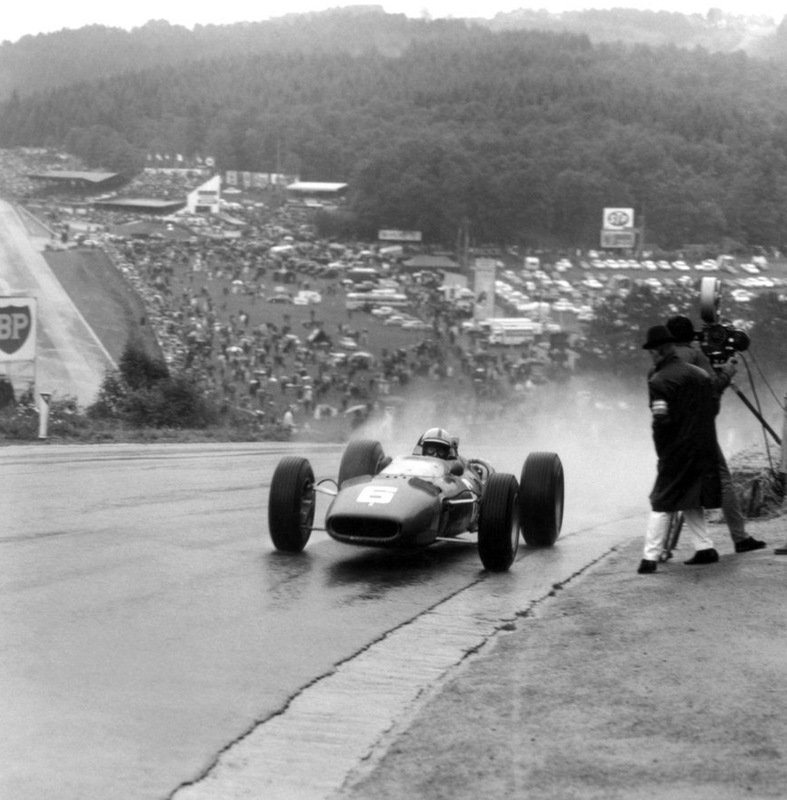 Surtees’ engine misfired early but sorted itself, teammate Bandini allowed him into second and the points he needed to defeat Hill, who had been given a ‘tap up the chuff’ by Bandini earlier in the race, causing a pitstop and damaged exhausts ruining his chance. 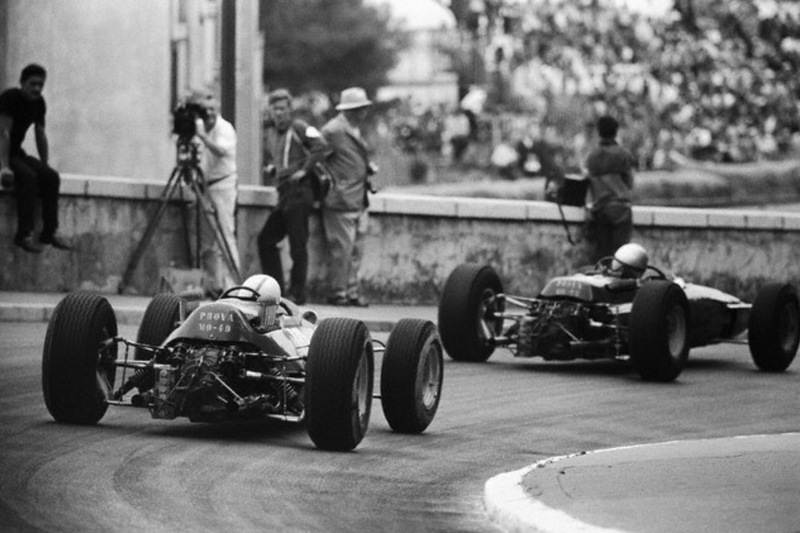 Dan Gurney won the race in his Brabham BT7 Climax and Surtees the title. 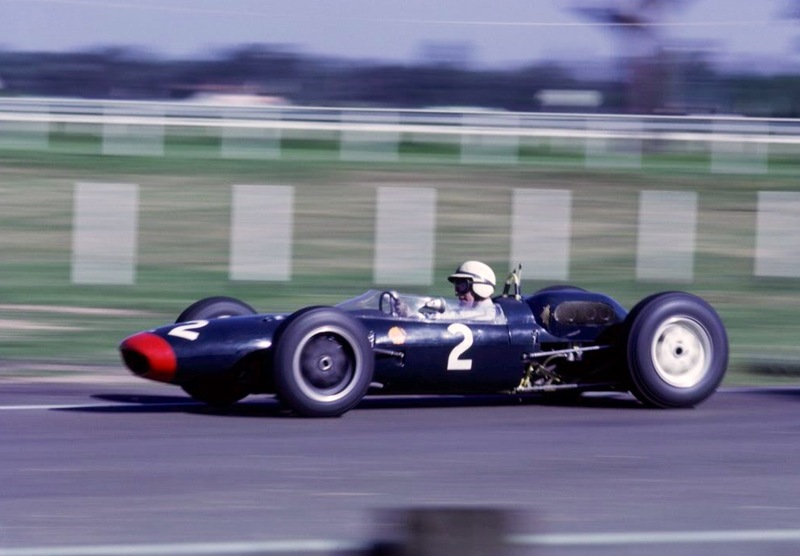 He was to win only six Championship GP’s throughout his long career, 1960-1972, not reflective of his talent but indicative of team choice, he wasn’t always in the right place at the right time. 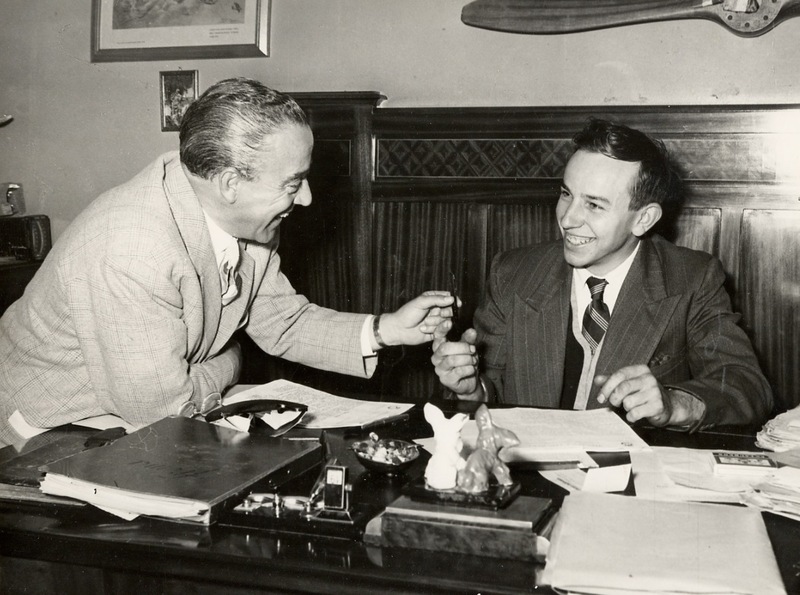 He was born into a motor-cycling family and progressed from his fathers’ sidecar to solos and many Norton victories, before too long signed by Count Agusta to MV. 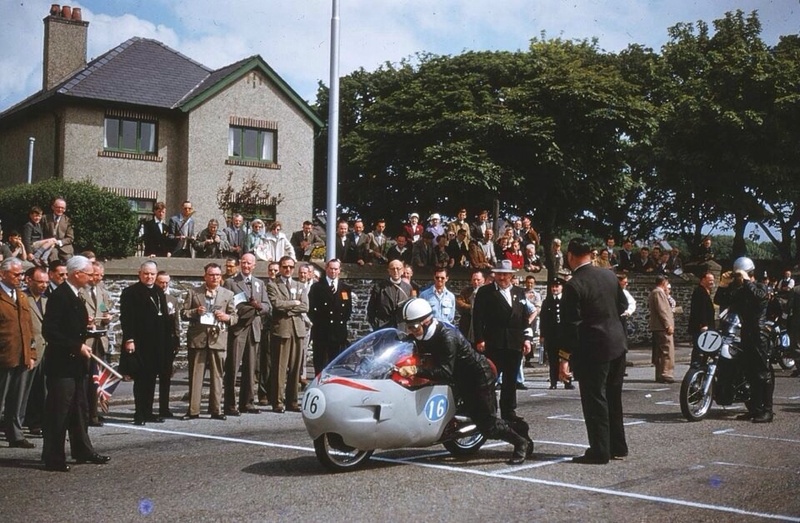 The departure of Gilera and Moto Guzzi allowed Surtees and MV to dominate the bigger classes, he won 350cc titles in 1958/9/60 and 500cc championships in 1956/8/9/60. 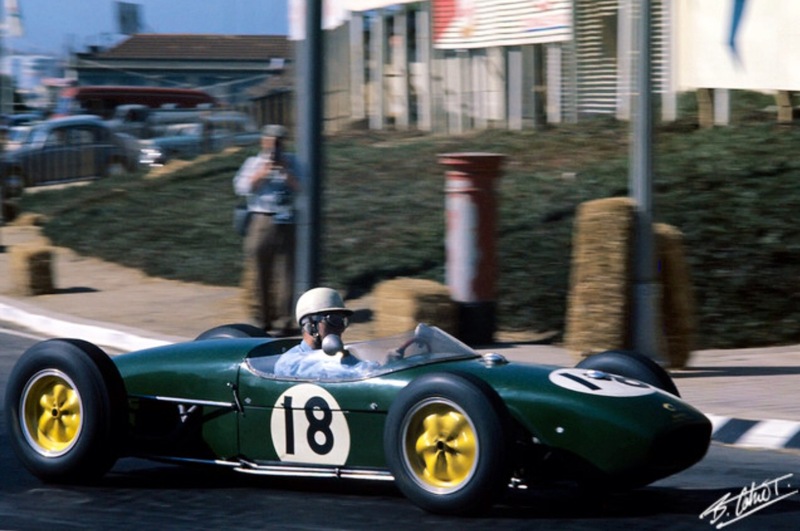 Before too long he wanted to race cars, making his GP debut for Team Lotus at Monaco in 1960, he mixed cars and bikes that year his best result second in the British GP. 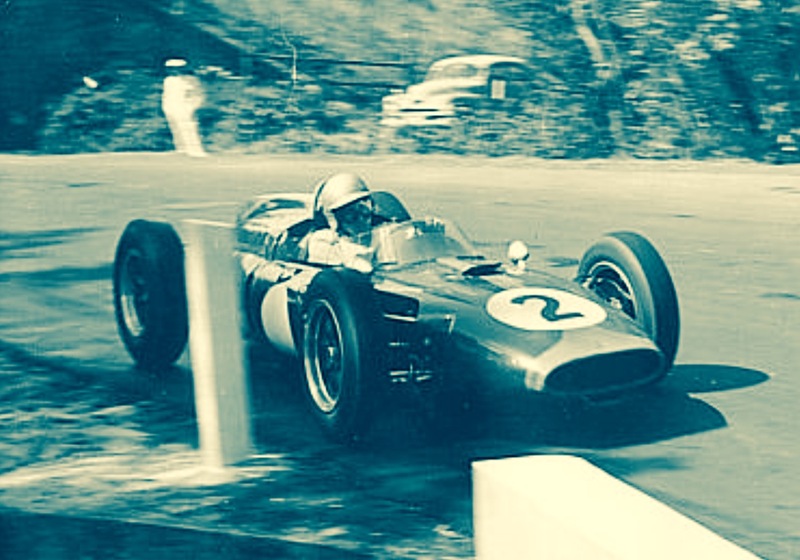 He drove a Reg Parnell/Bowmaker racing Cooper in 1961 and a Parnell/Bowmaker Lola in 1962 commencing a relationship with Eric Broadley’s marque which continued for most of his career in categories outside F1…although the F1 Honda of 1967 was famously a ‘Hondola’, being the marriage of in essence the Lola T80/90 chassis with the big, powerful 3 litre Honda V12. 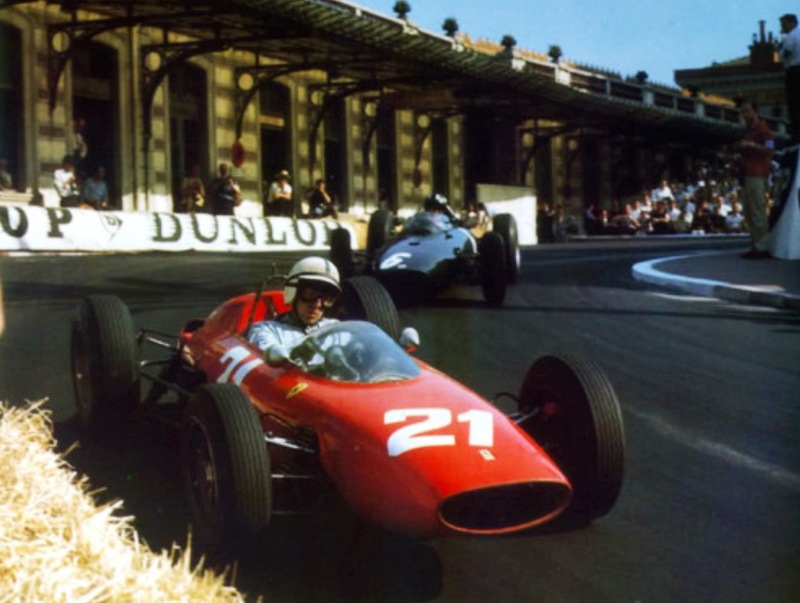 The Palace Coup and Purge of key Ferrari staff in late 1962 gave Surtees his Ferrari chance, joining them in early 1963. 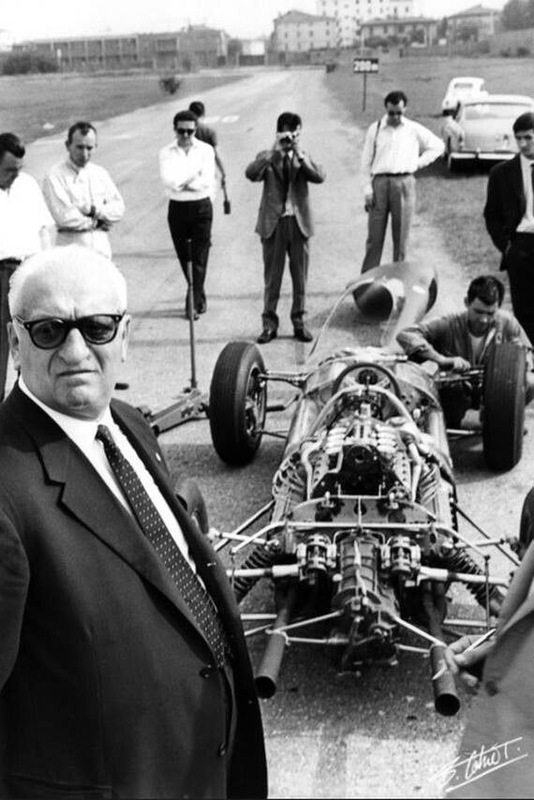 Arguably he was a good bet for the 1966 Championship won by Jack Brabham but inept, political management by team-manager Eugenio Dragoni resulted in his departure from the team mid season, his talents rewarded with two wins for Cooper that season, he then moved to Honda. 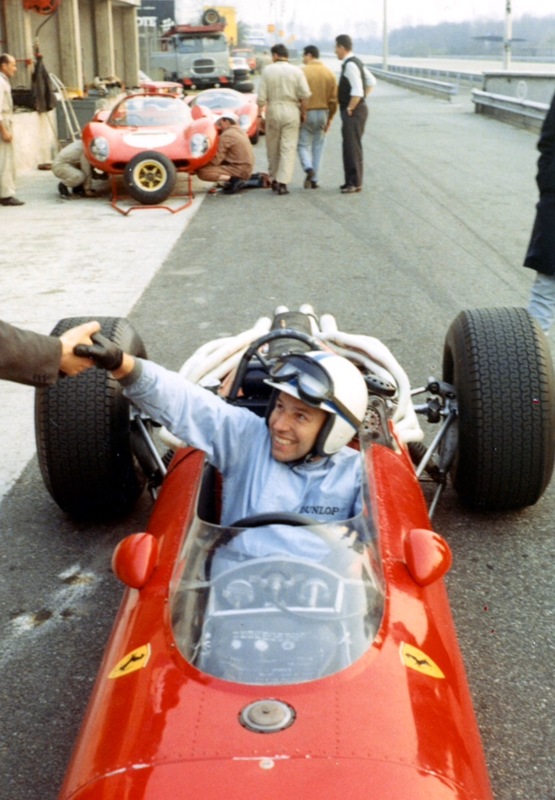 Its ironic that Ferrari intrigue gave him his Ferrari chance, and Ferrari intigue got the better of his sense of fairness in the end, read the MotorSport article below for Surtees’ own version of these events. 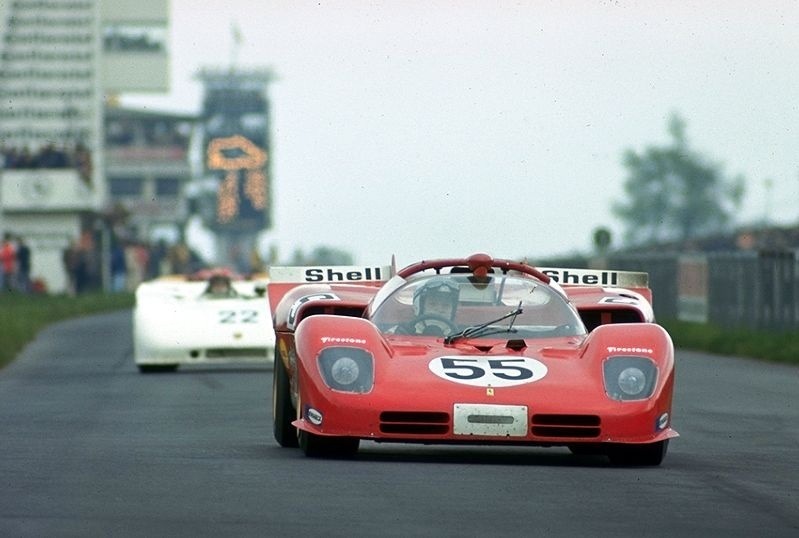 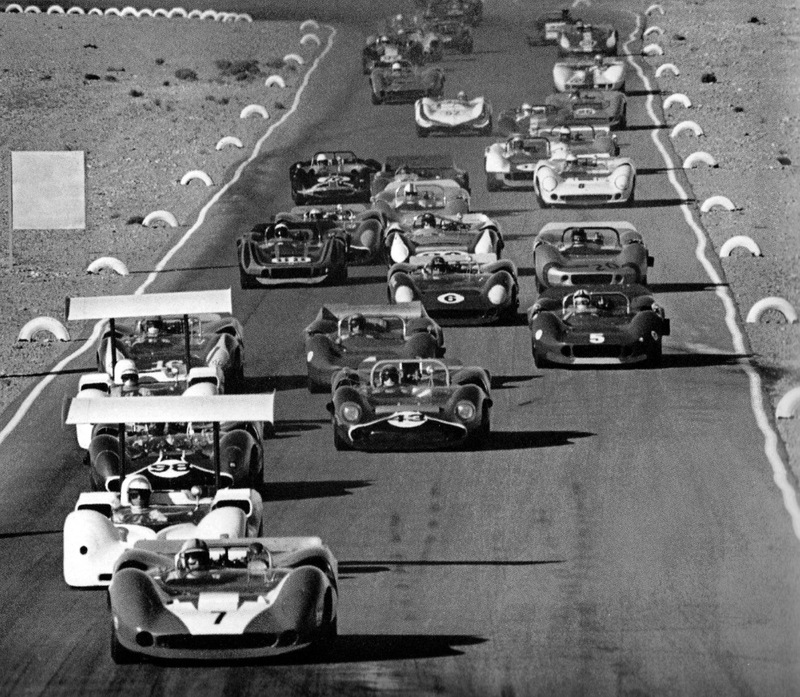 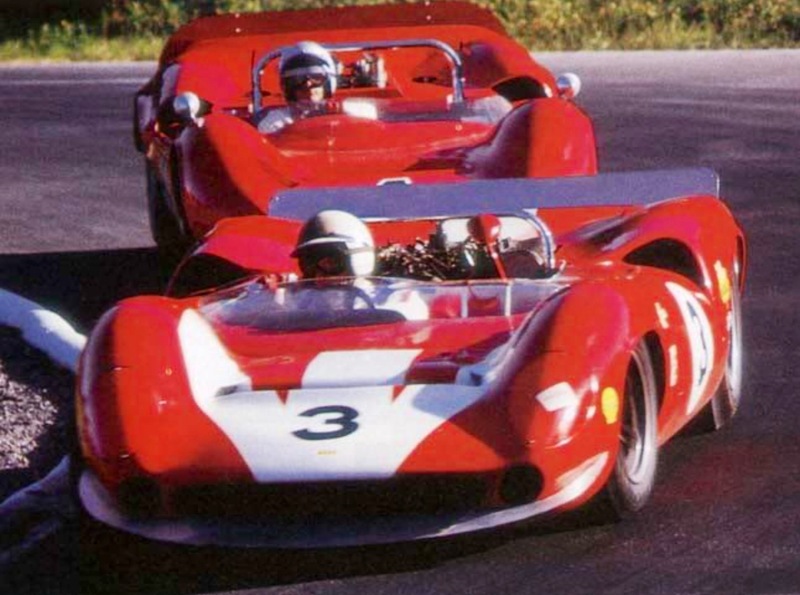 1966 was capped with a dominant win in the first CanAm Championship in his self-run Team Surtees Lola T70Mk2 Chev, defeating Mark Donohue in a similar car and Bruce McLarens’ own M1B Chev, the McLaren CanAm steamroller commenced the following year. 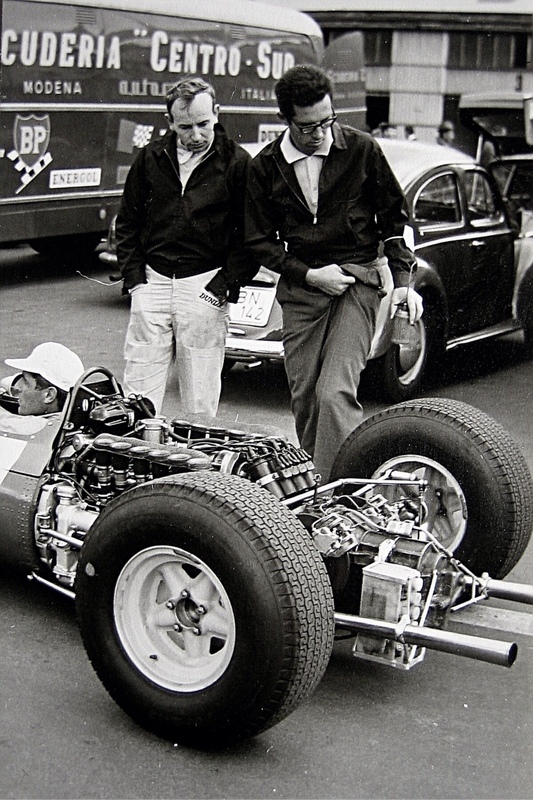 The Honda RA273 was a big heavy car, the marriage of Lola chassis and Honda engine, the RA300, was more competitive winning Surtees his sixth and final Championship Grand Prix victory at Monza in 1967, just pipping Jack Brabham in a last corner tactical battle/sprint to the line. 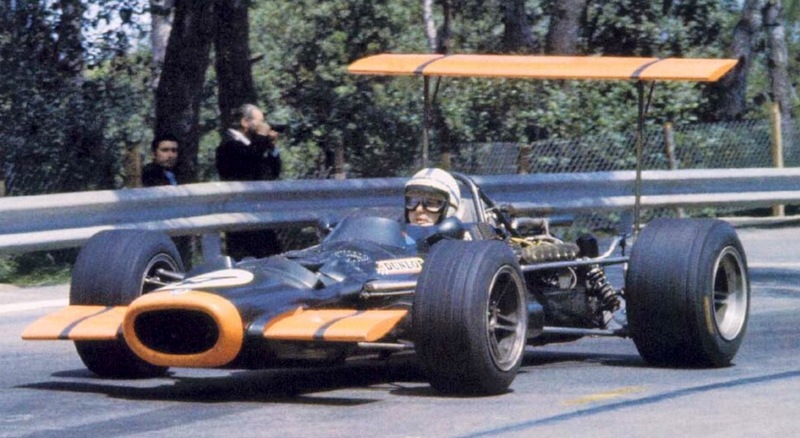 Honda withdrew from F1 to reappear in the 1980’s, Surtees F1 season with BRM in 1969 was a poor one, the Tony Southgate designed BRM P153/180 were competitive cars but John was a season too early, his timing again was not quite right. 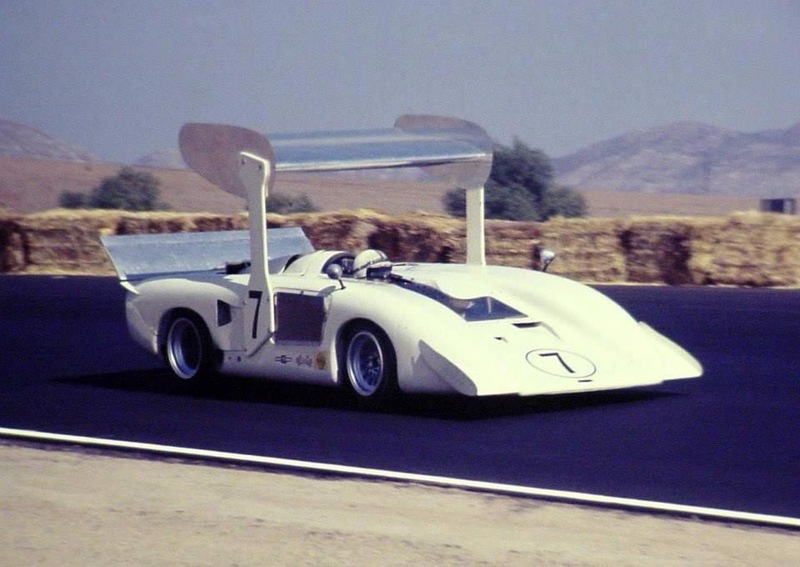 His 1969 Chapparral CanAm season was even worse. 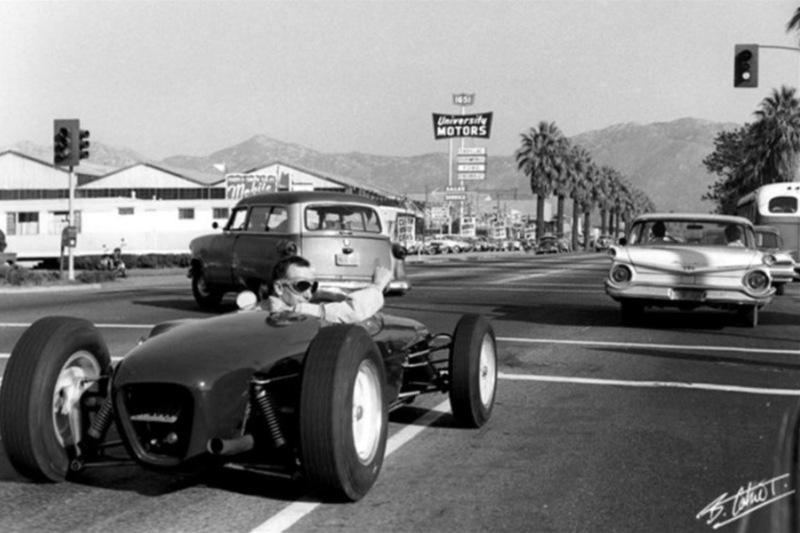 Jim Halls 2H Chev was an extraordinary car of immense innovation, but was totally uncompetitive, despite the best efforts of development of both Hall and Surtees. 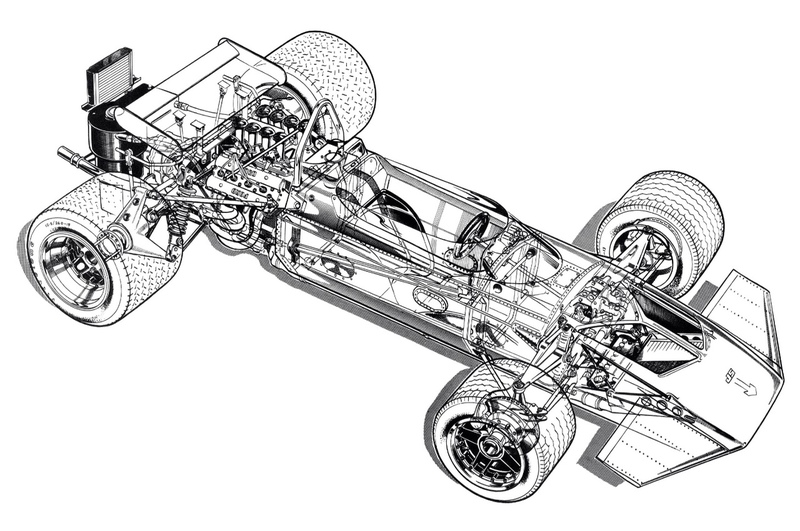 The 2J ‘ground effect sucker car’ of 1970 was even more avant garde and competitive but Jim Hall and Surtees was not ‘a marriage made in heaven’, a second season was not going to happen. 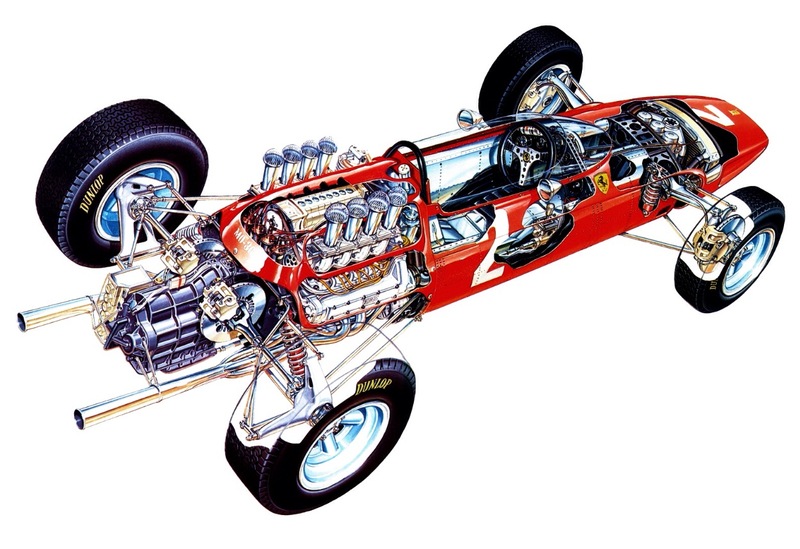 It was time to control his own destiny, build his own cars which he started to do with the Len Terry designed TS5 F5000 car in 1969…the Surtees TS7 Ford F1 machine made its debut in Johns’ hands in 1970. 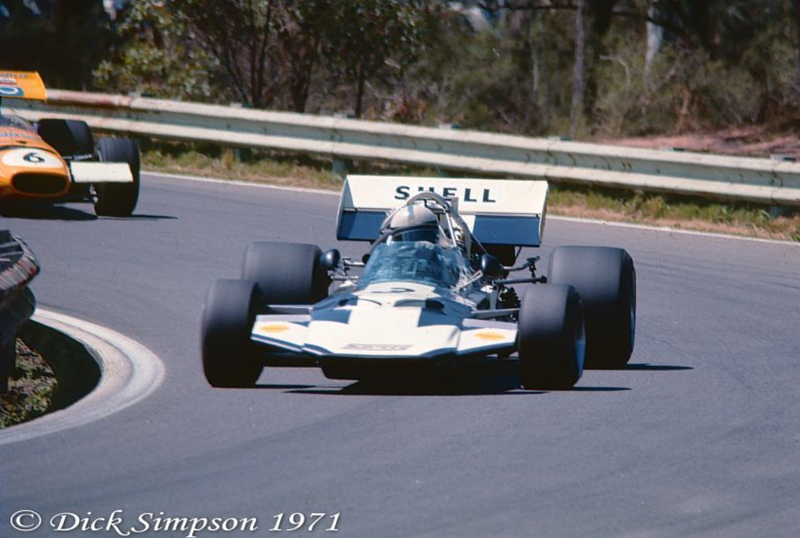 Surtees Cars won the European F2 Championship with the works TS10 Ford driven by Mike Hailwood and the 1972 British/European F5000 Championship, Gijs van Lennep driving a TS11 Chev. 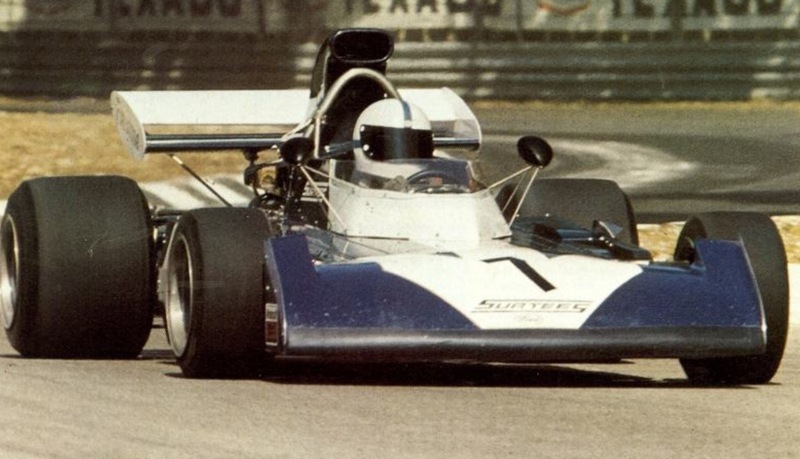 In F1 the cars were competitive over the years, the TS19 ‘Durex franger’ sponsored chassis of 1976-7 perhaps the pick of them albeit results were still not great, John finally gave up due to the difficulty in funding in 1978. 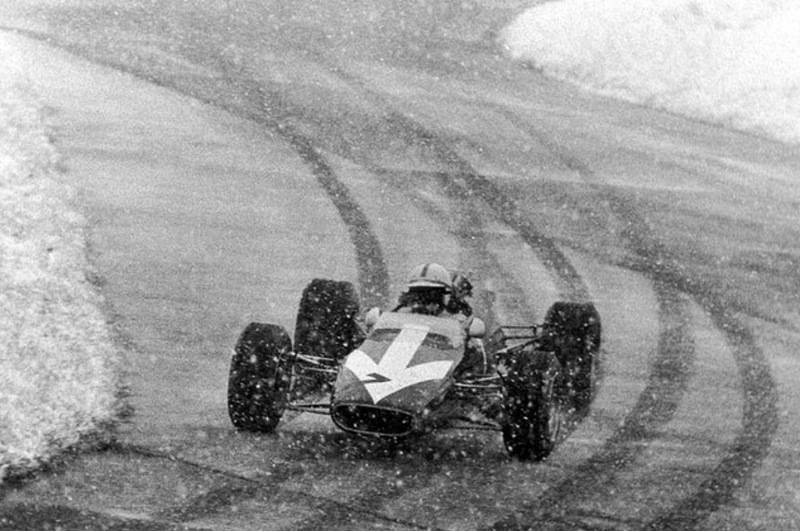 Surtees retired from F1 as a driver after the Italian GP, Monza 1972, fitting as it was the scene of his final championship F1 victory in 1967.